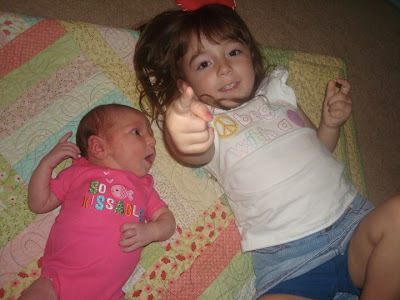 A New Pattern & More Blog Hopping Fun! This one is made with the Bubble Gum Basics fabric collection from Henry Glass Fabrics. Finally, don't forget that the Team of Bloggers that Love their Accuquilt Blog Hop is on Day Two! Today you can get a holiday table runner pattern, some great block/project ideas, and sign up for a give away at Marjorie's Quilting Bee. And view a great video on how to make a round flower block using the Accuquilt Go Flower die and some folded fabric, get some great gift ideas, and get in on yet another give away at Cotton Cocktails! The fun just keeps going on and on ~ join in all week for more bloggers sharing tips and fun things! A great big happy welcome to any blog hoppers who are stopping by today! Come on in, get comfortable and play along :) Since it’s Autumn, I’m playing with wool and my Accuquilt Go! I started with wool and homespun fabric pieces and the Accuquilt Go! Fall Medley Die #55014. 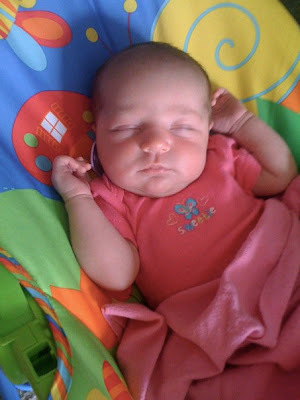 Additionally to complete this project you will need a wool fat quarter (approx. 18 x 28”) for the background, a half yard of backing fabric (I used a homespun cotton), and Paper-backed Fusible Web. Because I’m a fusible person, and I’m going for quick with this project, I fused some Heat n Bond Lite to the back of my wool scraps before running them through the cutter. If you’re not a fusible/machine blanket stitch person, you can cut your wool pieces without fusible, and hand blanket stitch around the edges (I like this look too, but I’m going for fast on this particular project). Bigger wool pieces can be folded to lay over a shape on the die to yield two pieces that lean in different directions. Tip: mark your die shapes with a sharpie pen to aid in laying the fabric over the shape that you want to use. I also like to mark little hash-marks out on the edges of the die so I can align fabric along the top/bottom of a shape easily. Trim the wool fat quarter background piece to 17 1/2 x 14”, and arrange the pumpkins and oak leaves in the center any way that you like. Press them with the iron to fuse them in place, and machine blanket stitch all the edges. Note that I still like to use some pins after pressing to hold the Lite fusible in place while I manipulate the piece through the sewing machine. I just remove the pin before I stitch around each shape. With leftover background wool, cut out ten 2 3/4 x 4” rectangles, and round two corners on one end to make the penny runner tabs. 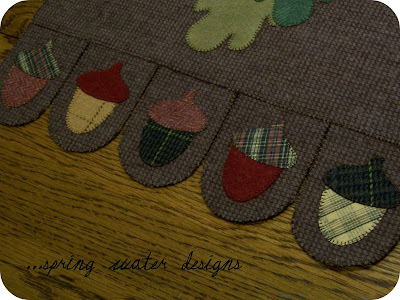 Fuse and blanket stitch the ten acorns and caps to these tabs about 1/2" from the rounded edge. Again, because I’m a fusible person, I added fusible to the back of the table runner center and the ten penny tabs. I arranged them on top of my homespun backing fabric with the ten penny tabs layered about ½” underneath the table runner center. And fused all in place. …this held the penny tabs in place while I blanket stitched down both ends of the table runner center through all layers. …And blanket stitch all around the outside edge. I used a regular 50 wt thread that I had on hand in a dark brown for all of the blanket stitching, but it would also look really nice with a thicker thread, and a larger blanket stitch to make it more prominent. So here it is on my sideboard all ready for Fall, my Autumn Penny Runner ~ and it only took me three hours to make from start to finish! The overall finished size is 24 ½ x 14”. I’ll leave this out through Thanksgiving until I decorate our home for Christmas. Don’t forget to hop over to SewCalGal’s blog today for more Accuquilt Blog Hop fun, and visit the rest of the participating bloggers all this week! You can see the schedule here for the entire hop. 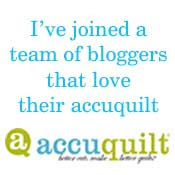 It's an Accuquilt Autumn Blog Hop! Autumn is here so I've been playing with wool. I'm popping in with just a little sneak peek today...I know, I know, that's kind of mean! You can see the rest of this project on Monday! I'm really excited that I'll be participating in a Blog Hop that starts on Monday, September 27th with a group of Bloggers with Accuquilt Products. You won't want to miss this! We will all be sharing projects/inspiration, tips, tutorials, maybe some videos, and I know some give aways! Even if you don't own an Accuquilt cutter yet, come along on our hop anyway! I don't want any of my friends to feel left out, I know my project can still be made without an Accuquilt Go! Cutter (it'll just take a bit longer to make up your templates and cut it all out ~ the time savings is where the value of the cutter comes in to play for me). I'm so happy because I finished block number twelve of my Baltimore Album quilt ~ and just in time for the class show and tell coming up this weekend! This is a simple "folksy" kind of block that I designed myself to go into my quilt (I knew I wanted at least one block of mine in there). I think I might embellish it with a little stitchery before it's set into the final quilt, but who knows :) This has been quite a process quilt so far! I went on a couple of little creative excursions this past weekend (also known as treasure hunts or junkin'). I visited a new-to-me antique store, and my best friend and I hit a large flea market. In the process I got a few ideas for some quilt blocks, and I came home with some new additions to my little collections. I got some more wooden spools with some beautiful colors of thread on them, still in nice condition! I found this wooden darning egg. I still didn't have one of these in my collection, so I had to get it. Now, on the next junket I'm looking for a cool old iron trivet. So for now I'm keeping my little treasures on this wall display that used to be in my kitchen, that has now been relocated to my sewing room. The old button card and needle pack on the top were treasures found in the drawer of my Grandmother's treadle machine back when I received it. This weekend I also scored this vintage pair of German scissors. The price was just a couple of dollars and they are still sharp to the point and very usable. I love the old patina, and now these scissors live right next to my sewing machine (replacing a contemporary pair of the same size that have been retired after being used to cut carpet, complete with staples ~ never a good idea by the way). Here are some of the other projects that were shared last night. Peggy Schaum does lovely stitchery and has been busy on these little mini quilts that she can display/swap out as the seasons change. They are little patterns from Bare Roots. I love the fabrics that she combined to frame her stitchery! And because we are such an eclectic group, and don't just make quilts, here are a few accessories that were shown last night. Barbara Lanore made this cute bag from the Cherrywood collection of fabrics. I don't remember if she said the pattern she used, but I think the suede look of the fabric is just perfect with the handles she chose. ...and Karen Watkins brought in a couple of her finished needlepoint belts that we've been watching her work on at past gatherings. Finally, this is what I came home from the shop with! Jo Morton's Complements fat quarter bundle. 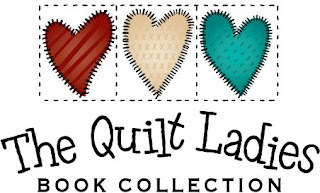 And Sew It Goes now has the entire collection both on bolts and fat quarter bundles :) Sweet! It's been quite a week. Tuesday I had the dreaded yearly Gyn appointment, and today I have a dental appointment for a teeth cleaning. I don't know how I lined all these "fun" things up together, but I guess I'm getting them over with. But it hasn't been all bad, last night was the first meeting of the Baltimore Applique Society for this season. Sue Troyan and her "very dear friend" Aunt Pitty Pat gave a lecture on the Power of Quilts (I apologize for not having any pictures of that, but I didn't have the chance to clear it before the lecture, so I didn't take any. It was a delightful lecture though, and if you ever get the opportunity to socialize with Aunt Pitty Pat, definitely take it). She showed many quilts, both old and contemporary, and shared their stories and illustrated that just as the quilter influences the creation of a quilt, each quilt affects everyone it encounters. It was powerful (and I ~ in my currently pitiful perimenopausal state ~ cried through most of the program...but I wasn't alone). The stories attached to these quilts (that ranged from very elaborate to captivatingly simple) added emotional impact to the quilt itself and are literally touching generations. It shows how important it is to label and document your quilts!! These are tops that were generously donated to us for Mountain Baby Blankets, and Mary Nielsen of Keep Me In Quilts, quilted them up for me in her "spare time". ...And if you're looking for a cute give away, head over to Stephanie's A Ditchen Time Quilts to enter her Blog Anniversary Give Away for a sweet little purse that she made :) It goes until September 17th. Thanks Stephanie! And while you are there, read Stephanie's account of her memories of 9/11, it's worth the time. My daughter decorated the nursery with some cute owl decals, and wanted to keep the theme going, so I designed this owl applique for a crib size quilt that she will hang on the wall (the overall quilt measures 48" x 54"). But first it will hang in the Quiltwoman.com booth at Quilt Market in October because it's my newest pattern! I'm so excited about it, I made it with Summer Song fabric from Riley Blake designs so it's very bright and happy ~ and yellow is my very favorite color! Anyway, because when Elsie was a baby I made her a small crib quilt with a coordinating larger quilt that they like to lay and play on (more on that it this older post), I knew I wanted to make a larger coordinating quilt for Abby too. So this is Abby's Stars! It measures 76" x 76". The pieced stars are the same style in each quilt, and by using the same fabric line, it coordinates nicely with the smaller Abby's Owl, and will fit on a regular bed to make a nice comprehensive set to decorate a child's room. I love the large polka dot in this fabric collection :) Both of these quilts were beautifully quilted by my friend Mary of Keep Me In Quilts. 55021 Vale Dies HST 2" & Square 2 1/2"
55017 Go Strip Cutter 2 1/2"
55024 Go Strip Cutter 1 1/2"
55012 Circle 2", 3", 5"
55006 Go Square 3 1/2"
My Circle Gets the Square Pattern is completely Go Compatible, and we two more patterns are in the works that are also to be published soon that are Go! Friendly so stay tuned! Did You Win Any Ribbons at the Fair? Voila, A Travel Ironing Table!